Tripura, which is slated to go to polls early next year, has been witnessing violent confrontations between tribals and non-tribal groups. 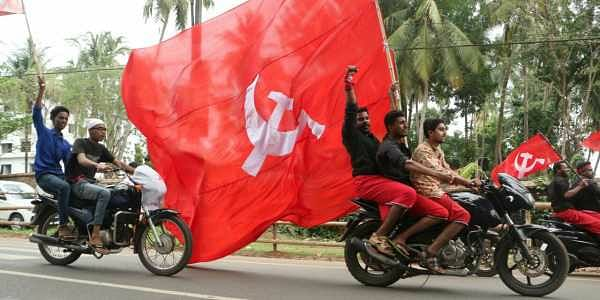 NEW DELHI: The CPI(M) has accused the BJP-RSS of pumping crores of rupees into poll-bound Tripura to fund "violent activities" in the state. The CPI(M) has published a booklet titled "Tripura - people first model" to "project the true picture regarding the conspiracy of the BJP against the state government". "The BJP-RSS has unleashed a divisive incendiary policy of fomenting divisions between tribals and non-tribals in the state and pumping crores of rupees to fund violent activities," the CPI(M) booklet alleged. "The BJP has grabbed the position of the main opposition in many states without winning a single seat in the polls and has also used the CBI and Income-Tax department to threaten and blackmail political parties," the CPI(M) alleged and added that the same old tactics will not work against Tripura Chief Minister Manik Sarkar. The Left party alleged that the "BJP-RSS is trying to create ethnic discord in a sensitive border state". Despite the violent tactics of the BJP, the Left Front government in Tripura is following a "people-oriented development policy framework", it said. The booklet also listed achievements of the Tripura government in various fields. The CPI(M) said the "people of Tripura will undoubtedly foil the BJP-RSS conspiracy and defeat the politics of hate and protect the bonds of unity and harmony".